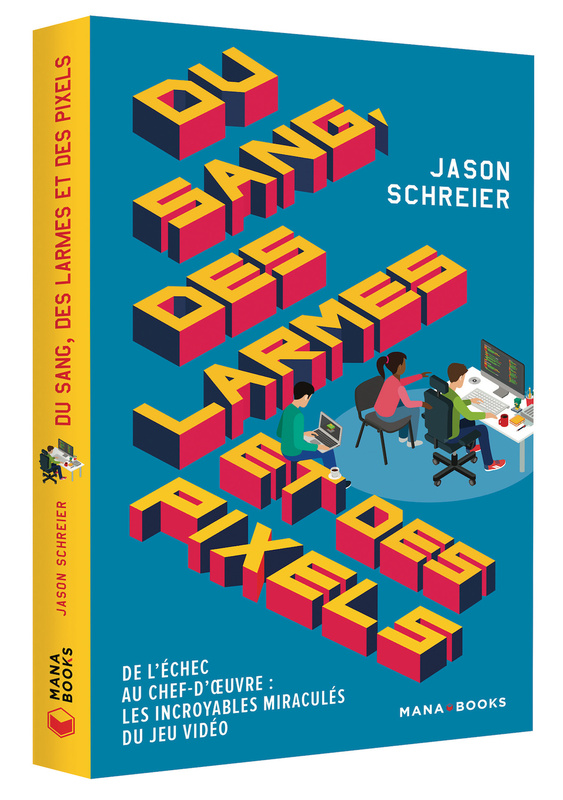 Il faut beaucoup de passion pour travailler dans le jeu vidéo à en croire les témoignages recueillis par Jason Schreier. Travailler le jour et la nuit, les week-ends et ce pendant plusieurs mois n’est pas rare. Le fameux crunch fait encore des ravages dans des entreprises du jeu vidéo pourtant parfois millionnaires mais qui continuent à se comporter comme une bande de gamins faisant un jeu dans leur garage au début des années 80. Parmi tous les folklores du jeu vidéo, ce n’est peut-être pas celui qui mérite de continuer. Bliss : Reading your book, we learn that working in video games is not a happy glamorous life, isn’t it ? 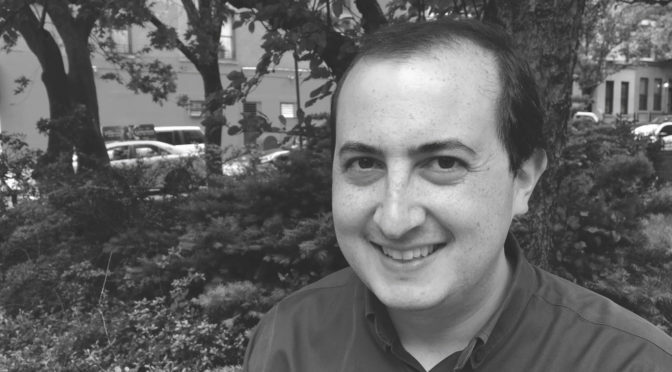 Jason Schreier : No, for sure. Bliss : What does it mean if you want to work in video games today compared like, say, ten years ago when you started reporting the video game industry ? J.S. : I think it’s gotten better. In large part because people are talking about the crunch culture a lot more, the overtime, the excruciating hours. I think people are more aware. The companies are trying a little bit harder but people have to be very aware that in making games they’re getting into this world that is brutal. Bliss : But it’s really the first time in France since the late 90s and the Ubisoft Ubi Free uprising (not counting Eden Games short strike in 2011 for layouts. In 2018 it’s just about a few guys complaining, certainly rightly so but in an almost confidential way. Did it come to that point in the States ? No public revelations, controversies or strikes ? J.S. : Oh yeah, of course. There are definitely controversies. J.S. : Well because it became just like standard : of course people are crunching, of course people are working hard, it’s just like normal. It’s considered normal in the state of things. It’s unfortunate but yes it’s a problem. Something people should be aware of if they’re thinking about working in video games that’s for sure. J.S. : Yes. But it’s fun. I didn’t make games but I imagine it’s a lot of fun too. Be part of a creative atmosphere and knowing that you’re making something that potentially millions of people could play and enjoy. You get to go to an office everyday and make video games and test video games and play video games so it does have a certain appeal. I understand why people do it despite all of the hardship. Bliss : Did you get that vibe when you visited those studios ? That the people are really enjoying what they’re doing ? J.S. : Yes, but it depends of what type of job you have in the game industry, what the personalities are like. I think that one of the reasons that crunch culture is able to fester is because people are so passionate about their job that they’re willing to put on extra hours. And a lot of it is people volunteering to put extra hours. They’re working because they want to stay after work and putting all that extra time. They want to work nights and week-ends. They know they really want to get their favorite feature in the game or something like that. I think that part of the problem is that with this much passion people can end up hurting themselves, or hurting their families. J.S. : It’s a mixed of both. In some studios there might be bad management that’s leading to it. I heard some people arguing about the fact that anytime you have to work overtime it’s the result of bad management. But some people think it’s the direct result of people just wanting to stay and put extra time to make sure they’re really care about making their games as good as possible. Bliss : So you heard about Quantic Dreams problems, and supposedly management and coworkers harassments. Some people also suffered from some bad jokes inside. I wasn’t surprised personally because it sounds like college immature bad jokes for the most part… Not to run in their defense but do you think it’s the same in about any studios in the world ? J.S. : Like I said, this college frat house mentality is like how the industry started. And then overtime it became more and more professional and more like an office with proper HR department. But I’m sure there are still after college jokes and immature stuff at studio’s. But it’s becoming less and less common over time. It feels like the video game industry is growing and getting more mature over time. I’m sure it still happens as we saw at Quantic Dream’s and I’m sure there are other studios where the same thing happens. I’m sure the same thing happens in other companies in all sorts of industries. It’s getting better at least. It’s good when people are exposing that sort of things. I think that’s how you fight it. Publicly report it. Bliss : Do you think it might hurt the sales of Quantic Dream’s game (Detroit : Become Human, just out) ? J.S. : No. I think it’s for the best for the studio to have that sort of thing reported. If people in a game studios have to deal with an uncomfortable situation, the founders sending around jokes or whatever, then it needs to be reported. I think it’s more important to care about the people who are working there than to care about the sales. J.S. : Unfortunately, no ! The biggest problem in the game industry is that there are not enough women in positions of power at the top of studios, and management positions. One of the things you saw in the book is that it’s a very male dominated industry. EA has one studio in Canada that is entirely driven by women, studio heads and the women at the top positions there (EA Motive in Montreal). We’re seeing progress but it’s not moving perfectly. Bliss : But where does it start ? Is it because there are not enough women interested in video games, or is it some kind of male selection at the door ? J.S. : I think it’s just related to the eighties. The video game culture started with people in their twenties, teenagers male leaving all together in the house drinking diet coke and eating pizzas while they make video games. They probably smelled terrible…(laughs) That was the original video game industry and it’s only recently that it’s become more professionalized, less okay with that to be the atmosphere. It’s been a very gradual shift for women starting to get more opportunities to rise up and have carriers in the video game industry. I think it was much tougher back then. It’s still tough but it’s gradually improving overtime. Bliss : Did you have any report about sexual harassments ? Could it be something women know and they don’t go into this industry because of it ? J.S. : There is definitely sexual harassments. You hear people talk about it a lot about’ especially since the #Metoo movement. A lot of women use some private whisper networks where they talk privately about men to stay away from them, that sort of things. We haven’t seen something like a Harvey Weinstein big story in the video game industry, but I’m sure they are out-there. Bliss : Do you have any knowledge or a feel about the percentage of people going in this industry for the love of the games or for the money ? Like some kind of jackpot if the game becomes a sale miracle or an insta fortune like Notch/Markus Persson won when he sold Minecraft to Microsoft… ? Bliss : You don’t think that part of the drive to go in the game industry might be to get the money that a big success can bring ? J.S. : Everybody wants to support their families but I think that people are going to games because they love games. The salary is very descent in games from what I’ve seen in the US, especially in some of the biggest cities, but it’s not that lucrative like in a field where you would make tons of money. Bliss : There are some guys in your book that definitely want to make a Nintendo game, that’s their dream, so those ones are not here for the bucks but to make a special game they love. But I guess there are some people trying to mock up the Blizzard/World of Warcraft model for instance, making one big game service for a long time, more like a business model than a « game ». J.S. : In the world of console games, probably not. But in the phone world, the mobile world, I think they are a lot of people that want to get rich quick. Like making a Candy Crush or the new Angry Birds or whatever. But now it’s been so oversaturated, the library of mobile games is so big that you can’t even notice any game that are coming out. So yeah in that world I think there are people here to make a buck not games. Bliss : In the 80s and 90s legend, the first thing American game developers did when they made some money, was to buy a fancy car. At least in the US. So does this tradition go on now ? Did you notice any expensive cars, Ferraris or Lamborghinis on the studio’s parking lots you had access to ? J.S. : No not really. The ones that I went to were not super rich studios. When I met Eric Barone who made Stardew Valley, his car didn’t even work properly. The driver seat door was jammed so he had to go around to the passenger seat to get in (laughs) ! He’s not interested in money. I spoke to him recently and he still lives in a house with two roommates and his girlfriend. And he has like 20 millions in his bank account (laughs). He just doesn’t care. Bliss : Do you think that the more we know about how games are made we loose the magic of playing the game ? Do you loose that magic the more you know about that… blood, sweat and pixel tears that are apparently required to make games ? J.S. : No. Not at all. I appreciate it more. I’m playing the new God of War game and I look around for the little things and I think in my head about the amount of work that went into each little details in the game. Or I’m seeing the tricks that they are using. I really makes me appreciate things so much more. I feel like I’m a more educated game player. I’m seeing the things they are doing and it’s still so impressive even when you know the amount of work that went into it. Bliss : It increases the pleasure of the player. J.S. : I think so. Bliss : Are you sure there are that many people who wants to know how are things done in the background ? For instance in movies, all the making of bonus on DVDs and Blu-rays are only seen by a fraction of the movie audience. J.S. : From what I’ve seen, a lot of people like to find the behind the scene stories. How they did Atreus (God of War’s son) for instance. There is a lot of appetite for that kind of details. Bliss : So you’re going back to writing a book and still being a game journalist daily ? Are you keeping both activities simultaneously ? J.S. : Yes. It’s a little crazy (laughs), but that’s the plan. Bliss : Would you consider doing some games yourself now that you know how it works ? J.S. : No. I’ve never been really interested in that. I’m more interested in journalism. That’s what I always wanted to do as a kid. I always wanted to be a « writer ».